Sorry I’m late with this, more will follow. 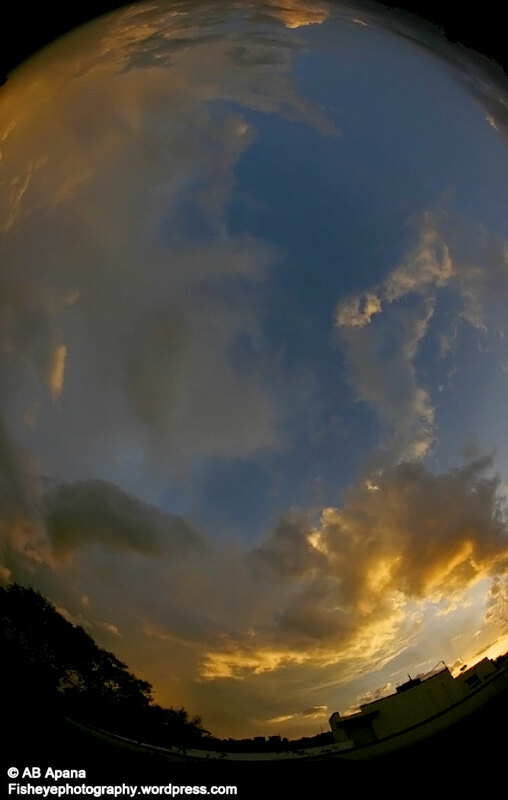 Fisheye photography refers to extreme wide-angle photography done with an 8mm lens. This lens gives a 180 degree field of view on a full frame camera, producing a circular image. The lens does not have a hood and the glass bulges out of the barrel, thus resembling the bulging eye of a goldfish.